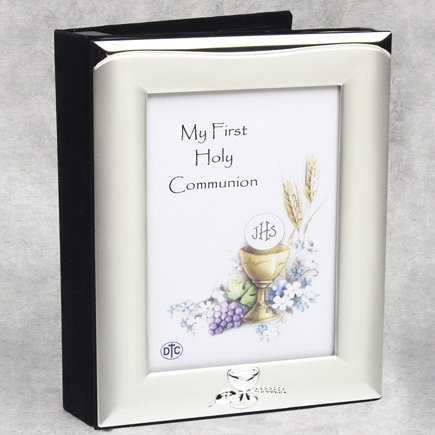 First communion photo album in elegant brushed satin silver plate. All items are F.O.B. factory. Prices are subject to revision without notice, please contact us to confirm current price.